Emergencies are seen the same day if possible during business hours. During your first visit we will discuss the probable number of visits, their length, and the fees involved. It is our policy that your care is paid for at the time of treatment. We participate with: Delta Dental, Met Life, Guardian, United Concordia, Advantage Flex,Assurant Employee Benefits, Rayant, Cigna, Aetna , Principal Plan Dental Network Connection Dental and Dentemax. We accept Visa, Mastercard , American Express and Discovery Cards. 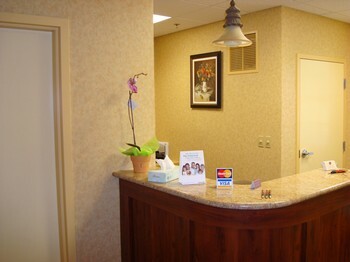 We also have Care Credit available for our patients. For patients who have dental insurance, we will gladly submit your fees to your insurance company. In order to do this, we obtain an estimate of the amount your insurance will cover. These estimates are occasionally inaccurate. Your insurance company sets a yearly maximum they will pay for each patient. This yearly maximum varies from insurance company to insurance company. If you have used a portion of your yearly maximum at your dentist office, the insurance company may not have all of your claims processed so they will report an inaccurate available amount. Your insurance company may also set a procedure limit, which is usually lower than what a reasonable fee is for the procedure. You will be responsible for the difference.